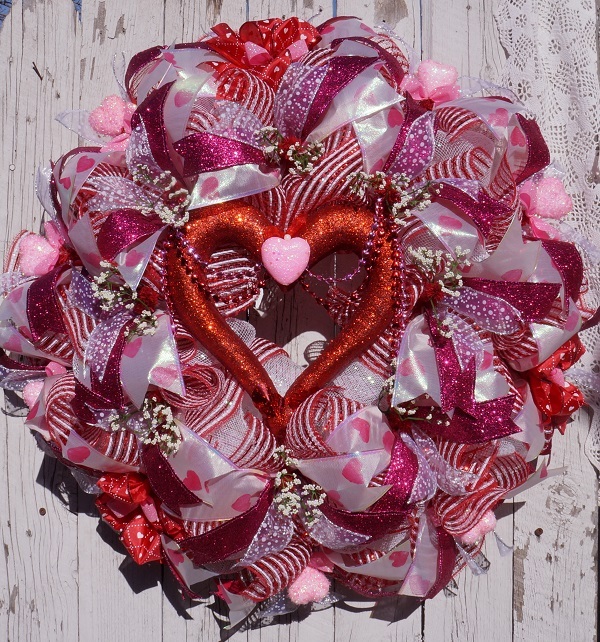 This wreath is full of mesh, ribbons, hearts and bling in pinks, reds and white. 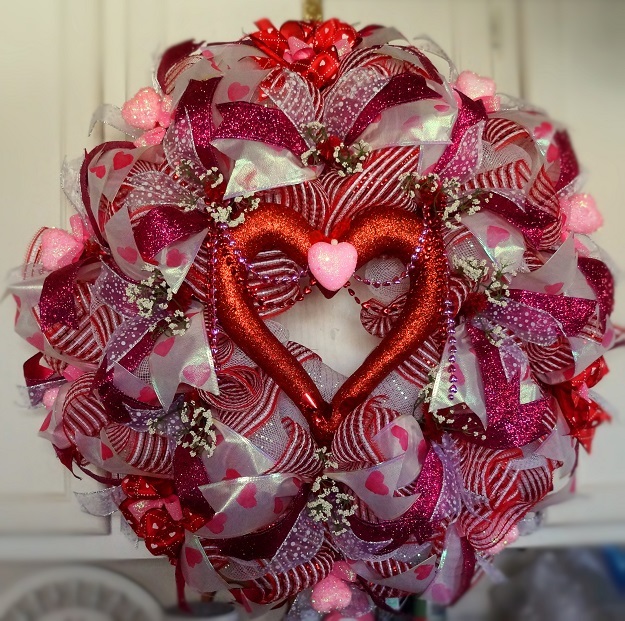 It is appx. 27''x 9'' deep.